For so long, we are so weary with what is happening in our environment. And we know why such things happen. The problem with the world today is that it is full of complaints. People are complaining about how hot it is wherein they do not spend time looking at their lifestyles which are the cause of such condition. We live in a finite world. And it means to say that when we are not responsible stewards of te world we live, perils may happen anytime and they are happening little by little daily. The solution to this is maintaining a green environment. It is not about painting the environment green or the houses should be green in paint. 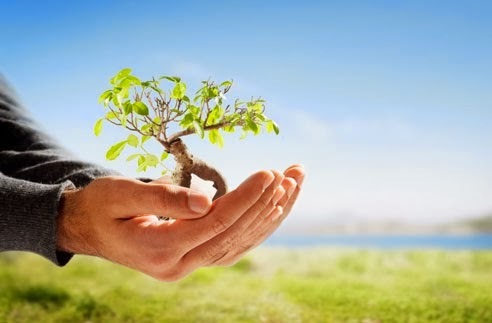 When I say maintaining a green environment, it means to say that it is important to plant trees that will make it green. We can also beautify our surroundings with plants and even cover our yard with grass. If we can do this, we will be able to solve the issues of this world. We have to be responsible before it’s too late. We have to bear in mind that life is so important and that we are at risk. Let us act now and prolong life. This is the kind of life that we will be sharing to the future generations. As much as possible, we want to become role models that they can emulate the moment they are already in the same status as ours. Plant more trees and avoid any problem that may endanger all forms of life on earth including ours.